If you're from, or have lived in an Asian country before, you know just how big the lunar new year period is. From Asia's southeast to eastern nations, the lunar new year period is generally one of the biggest holiday season there is. This makes traveling in such a country like Korea, where it's such a big deal, quite a different experience than most any period during the year. 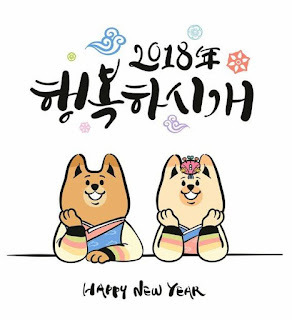 Here's all the most important information and tips to keep in mind if you're traveling to Seoul during the Lunar New Year or "Seoll" (설) as it's called in Korean. If you're in Seoul during the Lunar New Year period you'll be in the capital at its quietest (the other contender for quietest period being the other big holiday season, the mid-Autumn Festival, or "chuseok"). The reason behind Seoul's near stand-still is that the lunar new year period is traditionally a family-oriented holiday where those who live in the big cities, like Seoul, will travel home to be with their loved ones. That's, in fact, the reason why the government institutes a 3-day holiday period on every lunar new year so as to give people ample time to travel to their hometowns and enjoy their family time. In particular, expect the day of Lunar New Year (in 2018's case, the 16th) to have the most number of places closed. 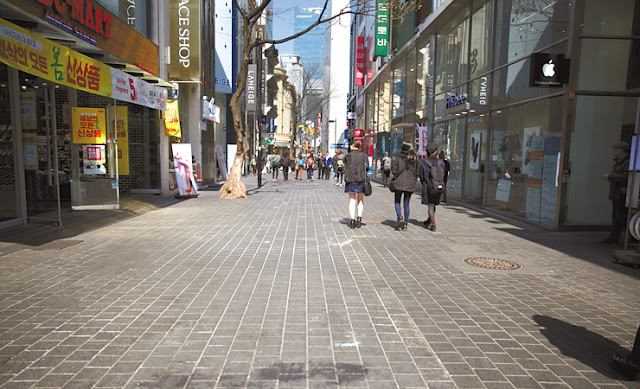 While the population of the city of Seoul is 10 million+, a good number of its residents hail from all over Korea so people are gone, smaller businesses close shop, and the city generally empties out to one of its lowest numbers of citizens of any point during the year. Actually, Seoul at its "quietest" is a glass half-full way of describing the city, usually by the introverted traveler types who prefer less crowds and a relaxed pace. Because so many residents of Seoul are out of town this time of the year and because so many tourists from Asia also tend to be in their respective hometowns and not traveling, this means that for the places that are open you'll see some of the smallest number of visitors year-round! And thankfully most of the capital's major attractions such as the royal palaces, museums, amusement parks, natural scenery remain open during this period (do double check the respective homepages to be sure). 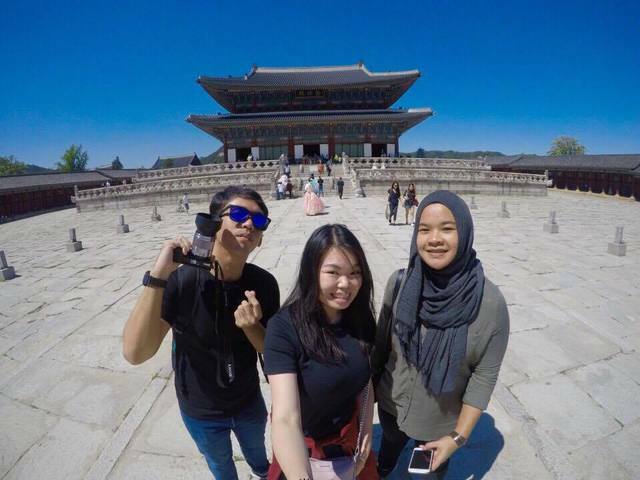 And, let's face it, that awesome shot or selfie for your Facebook or Instagram at the beautiful Gyeongbokgung Palace or amid the neon signs of Myeongdong is only enhanced when there's less people around, right? This is also usually a great time to take advantage of those places that require wait times such as ride lines at amusement parks or the popular Namsan cable car. Those into winter sports should definitely hit the slopes as you'll be seeing some of the least number of crowds there is! But again, verify they are open. As mentioned, lunar new year is a 3 day holiday period which can extend to a longer period if it goes into, or before, a weekend. For businesses this means companies are closed which often includes many independently owned restaurants, cafes, bars, etc. 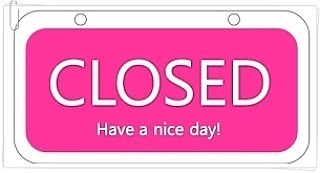 Privately-owned attractions and even public attractions such as certain museums and shops, may also be closed or have different/shorter opening hours. Does this mean visitors to Seoul during this time face the risk of starvation and nothing to see and do? No. Most major chain restaurants, cafes, convenience stores, major supermarkets (both international and Korean) will be open (possibly with reduced hours, however). What travelers do need to strongly take into account during this holiday period, however, is the closure of many services during this time. Banks will be closed and not all ATMs may be working everywhere during this time so you'll want to prepare accordingly such as by exchanging a bit more Korean Won in advance to be safe. Certain services and tours geared towards foreign visitors may also not be in operation during this time so if you were looking to book such a service or experience, verify their operation in advance. And most local clinics and many pharmacies will also likely be closed. However, major hospitals and certain pharmacies will operate as normal so a good advice would be to to know where some of the closest open hospital and pharmacies are to you during your stay just in case. One thing you certainly don't have to worry about during this period are the regular operation of Seoul's public transportation (subways and buses). And in fact, subway and bus lines generally extend their last train by an hour or so during the three major holidays to give people extra time to move around. This year (2018) Seoul's subways and buses will run until 2 AM on the 16th (Friday) and 17th (Saturday). The night owl buses will operate as normal during the entire new year period. Generally, you'll be able to grab taxi easily as there's less locals in town and thus less riders. But it does also mean that many independent cab drivers will likely be with their family during this period so it may depend. At least seats will be plentiful on the regularly-operating buses and subways! 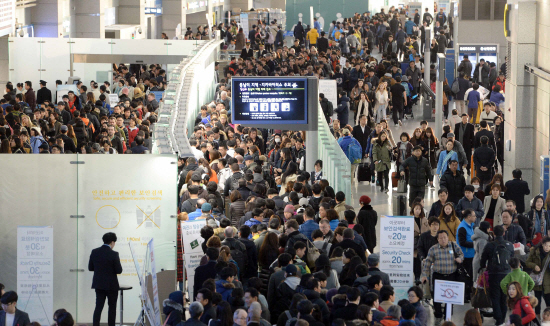 While transportation within the city should be smooth and hassle-free, transportation out of, and back to, Seoul will likely be a nightmare particularly in the beginning and end of the holiday period. 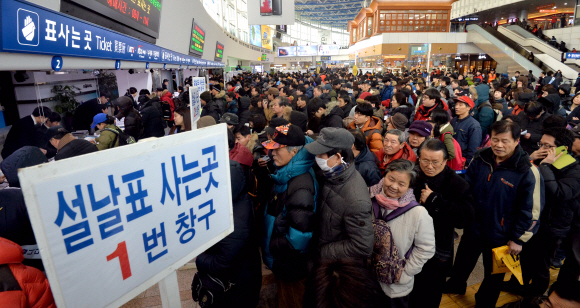 Seats on express buses, trains, KTX bullet trains, and domestic flights for the Lunar New Year season are bought weeks in advance by locals (some who even wait in line through the night) to ensure they have tickets to their hometowns. If you were originally planning to make trips out to other popular destinations like Busan, Jeju, Jeonju, etc during this holiday period, you better double-check prices and if there are even any seats at all! For drivers, expect traffic nightmares particularly in the beginning and end of the lunar new year period as this is when locals are most on the road. Expect some of the most congested highways on the Korean peninsula year-round equaled or surpassed only by the mid-Autumn festival season. Not only are most major attractions open, some even put on special programs for this period. 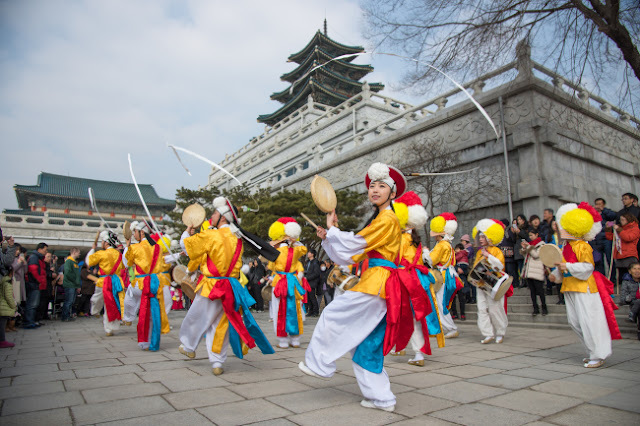 The Namsangol Hanok Village, Seoul Museum of History, the National Folk Museum of Korea, and the Seoul Baekje Museum are just a few attractions that are putting on special events this year. Check the respective homepages of attractions you are interested in for their operating hours during the new year period and also to see if there are any special events going on. For those who are here this year (2018), you guys are in at a special time as you'll be here right in the middle of the 2018 Pyeongchang Winter Olympics! Be on the lookout to see if any special related events will be hosted in Seoul. At the very least, many bars that are operating will be holding viewing parties and other related events. Generally major hotels tend to be on the emptier side than normal during the lunar new year so check to see if there are any special discounts or promotions that are being offered before you book your accommodations. In recent years, hotels have begun offering "staycation" packages for couples and families who choose to remain in the city and are looking for some rest and pampering during their holiday period that visitors can take advantage of too. These packages usually include perks like hotel restaurant dining, spa use, special gifts, etc. To the night owls who came here looking to experience the never ending energy and excitement of Seoul's famed night life, I'm sorry but you really picked the wrong time. Most of the city's hottest clubs - from Hongdae to Gangnam- will likely be closed. Even if they are open, they're likely to be just a sad shell of what they normally are on a regular weekend (on the other hand, if they're open expect perks like free shots, free admission, etc). Your best bet is probably to head to Itaewon where the ex pats-owned and frequented clubs and bars may be open and, again, perhaps with some specials and deals of one kind or another. But even those spots will likely rather be chill-and-sip-on-a-cocktail-or-two kind of vibes. If you happen to be traveling to/from Korea around this time you probably won't be alone. 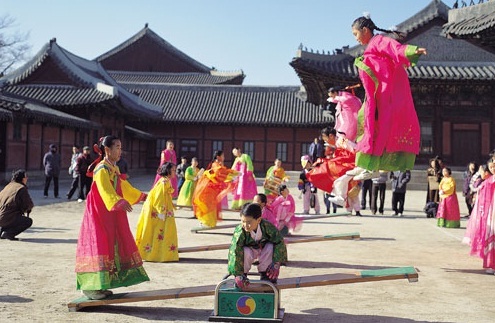 A growing number of Koreans are breaking traditions by not heading to their hometowns and using the annual holiday period to do some traveling abroad. While generally Incheon International Airport does a good job in keeping people moving fairly quickly (and the recently opened, brand new terminal 2 should help), you may want to give yourself a bit of extra time as a buffer just in case airport lines are longer than expected.